North County News Attacks Crotonblog. 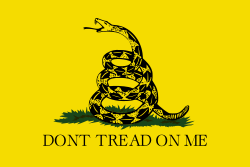 We Raise the Rattlesnake Flag and Correct Their Errors. Crotonblog has been on the receiving end of repeated attacks by Bruce Apar, the pompously titled Editor-in-Chief & Publisher of the North County News and his staff. These attacks were a desperate attempt at circulation building for a sick newspaper. Last year this once respected and formerly professionally edited newspaper abruptly dumped its award-winning staff. Now, using a pick-up team, it attempts to cover the broad area of the northern tier of Westchester towns with little success. Its readership in Croton would hardly fill the lobby of the Croton post office. Anonymity gives protection to those concerned about economic or political retribution or even threats to property—the latter already a reality in Croton. The misguided attack of the North County News on Crotonblog received only one complimentary comment: an email from one Maria Cudequest praising the “campaign” against anonymity. Talk about the pot calling the kettle black! It is to laugh. Ms. Cudequest has the distinction of being the first and only person to be banished from access to Crotonblog. Her offense was that she created multiple counterfeit fictitious names appended to comments all originating from the same I.P. address. This fraud gave the false impression that a great many individuals supported her point of view. In such comments, she would often misspell her own name to give the impression that the nonexistent writer was unfamiliar with the proper spelling. Not infrequently, one of her phony individuals would compliment another of her phony individuals on a point well taken. The following are some of the pseudonymous names she employed in her brazen scam: Culliganman, Deepsix50, Hopeful, Maria, Puppuluv, William Rooney. Editor-in-Chief & Publisher Apar got only one fact right: the Underhill house (which still stands, by the way) is indeed on Hanover Street (it’s at the intersection with California Road). Messrs. Chase and Murphy both died in August of 2006. But for Mr. Apar to meet Isaac Underhill would have been quite a feat. He died in 1814. Major André stopped briefly at the Underhill house, but it was not “225 years ago.” Do the arithmetic, Mr. Apar: it was well over 226 years ago. He purchased breakfast there on Saturday, September 23, 1780. Because of recent depredations by foragers, Mrs. Underhill could only offer him “supawn,” a humble porridge of corn meal and milk. Major André was not “captured by the British” in the Underhill house, a statement that makes no sense at all since he was British. Later that same day, Major André was stopped and searched by American militiamen on the Albany Post Road (today’s Route 9) at Tarrytown, just below a brook called Clark’s Kill. Because he wore civilian clothes and the incriminating documents were found hidden in his stockings, he was arrested as a spy and later hanged. CORRECTION: I need to brush up my knowledge of local history. Last week I wrote about Isaac Underhill and the Underhill house on Hanover Street. Contrary to what I wrote, British Major (not French Major) John André was in the house briefly more than 226 years ago (not 225 years ago). He was not “captured” by the British there, but merely stopped for breakfast on September 24, 1780. Disguised as “John Anderson,” a civilian, Major André carried documents provided by traitorous American General Benedict Arnold. Later that day, as he was making his way south on the Albany Post Road toward the British lines at Dobbs Ferry, André was stopped and searched by American militiamen in Tarrytown. When incriminating papers were found in his stockings, he was arrested as a spy, tried and convicted. Despite his plea to George Washington to be shot as a soldier, he was hanged at Tappan, N.Y., on Oct. 2. For managing to get every verifiable historical fact wrong in a 28-word sentence, Crotonblog hereby ceremoniously awards Bruce Apar, Editor-in-Chief & Publisher of the North County News, a dunce cap of large and handsome design. If this abysmal performance represents Mr. Apar’s standard of journalistic accuracy, what conclusions can we draw about the rest of his newspaper? We suggest that Mr. Apar, who has no background as a newspaper journalist, would be wise to abandon his futile efforts to build his paper’s circulation by attacking what he considers to be competing media and turn his attention to quality control. After exhibiting such gross factual errors, the North County News can hardly be considered to be an authoritative newspaper of record.